← Cricket Thinking: What is T20 Cricket? Cricket Thinking is a national training program to teach thinking skills to India’s knowledge workers. Cricket Thinking is an innovation which combines SOT Thinking Lessons with International Cricket lore. Cricket Thinking Lessons are published across all social media. Cricket Thinking was designed by the School of Thinking and Cricket Legend Max Walker in 2007. It has recently been revealed that 25% of India’s population with the highest IQ is greater than the total US population. QUESTION: Who in their right mind would multiply YOUR company by ten? ANSWER: The thousands of knowledge-workers already on your payroll! QUESTION: What would it take for them to do such a thing? ANSWER: Ten minutes a day! Cricket Thinking can also be used as an enterprise solution for India’s world class companies providing a platform of daily training in X10 THINKING from the School of Thinking (SOT) – every brain, every day! (b) find better ways to raise revenues and returns on investment. Using X10 THINKINGâ„¢ employees can significantly increase the bottom line performance of the enterprise in a much faster and much less expensive way than they did last year. All participating employees can learn how to use X10 thinking and how to apply it in their personal lives and at work … in just ten minutes a day! The lessons are robust and well-tested. They are short, enjoyable, provocative and they actually enhance the intelligence of each employee. Each employee enjoys this as a significant personal benefit provided by the company. The thousands of knowledge-workers already on the payroll represent the company’s greatest asset–it’s intellectual capital. When the doors close these assets go home. They return the next day to open the doors and do the company’s business. Every day, their most valuable output across the enterprise is decisions. Each one of these decisions has consequences which directly impact on the performance of the company. Each decision either costs the company a dollar or makes the company a dollar. So, what is the #1 most productive thing that the company can do? The most productive thing that the company can do is to ensure that all employees, all the knowledge-workers, are skilled thinkers about better ways to do their job. X10 does this. Managers and staff who are not skilled thinkers are just marking time, missing opportunities for growth, and drawing down on the resources of the enterprise. X10 will upgrade the brain software across the enterprise. Using cvs2bvs and other SOT proprietary algorithms our enterprise training platform will get the right content to the right employee at the right time … every day. Every day each employee gets the chance to think and respond to specific strategic problems or requests from the company. To search for additional solutions, directions, alternatives and consequences to those already under consideration.  X1O THINKINGâ„¢ can lead the search for deliberate opportunities of a specific nature – new products, new markets, new solutions, new methods, new routes, new attitudes, new concepts, new emphases, new syncopation (timing), new possibilities, new choices, et cetera. All too often the “right” strategy is simply the most recent one. A hundred million dollar decision may be the “best” one simply because a better decision could not be found. The company may face this dilemma many times in 2008.  As they become skilled in X1O THINKINGâ„¢ each employee learns how to search for alternatives that exist that have not yet been considered. Such alternatives may be subtle or dramatic, simple or sophisticated; but they will all possess the quality of being new, that is they will all be, by definition, alternatives that the bank did not see. This is the unique added-value of X1O THINKINGâ„¢. Every day, every employee gets a fresh chance to use X1O THINKINGâ„¢. 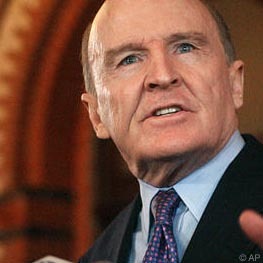 In the US, Jack Welch of General Electric was the most famous advocate of X10 thinking. He said, “I wish I had a management team that really understood X1O thinking because it’s the value-added role in the management process” and Jack used X10 thinking at GE to help him change the culture of a 100-year-old manufacturer to the most valuable company in the history of the world at the time he left it. Cricket Thinking is a new version of the X10 program designed by Max Walker and Michael Hewitt-Gleeson for the rapidly expanding business market in India.  They receive regular 5-minute audio ‘Tea Breaks with Max and Michael’.  They can participate in on-line/telephone tutorials live with Michael, Max and other members every month.  X10 thinking training enriches Members lives as they become smarter and more effective thinkers.  Daily practice in speed thinking, creative thinking, positive and lateral thinking with new software for their brain.  Members learn new mind techniques, cognitive methods and thought processes that enhance their intelligence for both work and at home.  Members have the time to develop speed of thought in solving problems.  X10 thinking helps members to be skilled at finding more time in their lives.  It provides a personal daily service to help each staff member multiply their sales by helping their customers to use word-of-mouth.  Daily coaching provides front-of-brain personalised attention and thought-leadership in customer-oriented sales & sales management, encouragement and motivation.  This new kind of sales training is NOT of the American rah-rah hype.  NewSell Coaching is professional and science-based with fast and measurable results.  Daily training helps each staff member to think, analyse, create and action highly focused and specific new business development skills.  WOMBAT selling shows how to build strong relationships with past and current customers.  WOMBAT selling helps each customer to want to replicate other customers through word-of-mouth. Just as it is in science, the quintessence of X10 thinking is observation and measurement. What is the current situation? How can it be ten times better, faster, simpler, cost-effective, etc? X10 enables the enterprise to focus attention like a laser-beam on those issues that are of strategic importance to the enterprise. For example, what would it be worth to focus each knowledge-worker’s X10 thinking on Customer Advocacy and Sustainability? When the enterprise is using the Net Promoter Score (NPS) to raise its level of Customer Advocacy, X10 thinking helps to keep the focus of every employee on better ways to improve every customer’s experience, every day. Two main problems of sustainability are: 1. How to sustain the attention and interest of managers and employees on issues such as Customer Advocacy and 2. How to do this in a cost-effective yet carbon-neutral way. X10 is both sustainable and carbon-neutral. Using daily email training for every brain, every day, important issues remain fixed in the short term memory which is where the decisions are made and the action is taken each day. This enterprise training is both world class and carbon-neutral. X1O is an enterprise solution which offers a world class platform of daily training to engage employees to (a) find better ways to drive down their costs of doing business, and to (b) find better ways to raise revenues and returns on investment. Using brain software (X10 THINKINGâ„¢) employees can significantly increase the bottom line performance of the enterprise in a much faster and much less expensive way than they will without it.  X1O is not only sustainable but also carbon neutral. The ROI of X1O is to meet and beat Customer Advocacy and Sustainability goals in a faster and less expensive way than last year. Cricket thinking has made me so loving to cricket that i had ever.This has also inspired me to join in indian cricket team.